This painting continues and builds the metaphor from Triodion, with a few important additions. 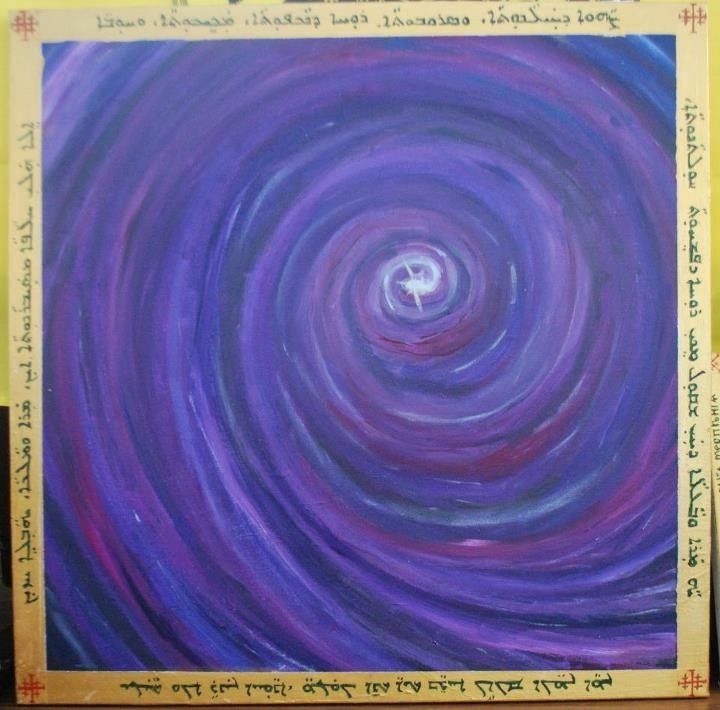 Firstly, it is huge, almost three times the size at 30"x30", and the text is the Prayer of St. Ephraim in Syriac. Secondly, There are more spirals, as this is also supposed to be an abstract depiction of the creation of our solar system. You see, while Painting this piece, I watched tree of Life too many times, (as if there was such a thing), and was deeply influenced by the scene where Lacrimosa plays over the creation of the universe, and the Solar System. In short, while showing my confusion, it depicts an act of creation.